The Department of Labor’s fiduciary rule – which would require retirement brokers to put clients’ interests first – wouldn’t prevent wirehouses from padding their pockets at the expense of their clients, the former head of wealth management at Morgan Stanley writes on his current employer’s website. John Straus, chairman and CEO of FallLine Securities, which provides services to independent advisors catering to ultra high net worth clients, took issue in particular with his alma mater Morgan Stanley’s pay-to-play arrangements with ETF providers. Last month Bloomberg reported that Morgan Stanley is requiring providers of ETFs to pay a fee for a place on its sales network or risk getting removed. Plans range from fees based on assets to up to $10,000 per fund annually. While Morgan Stanley may have mitigated its advisors’ conflicts of interest by preventing them from earning additional compensation from the arrangement, the wirehouse is still profiting at the expense of clients, according to Straus, who headed the private wealth management division at Morgan Stanley as well as JPMorgan's and UBS’s private bank units between 1987 to 2010, according to his LinkedIn profile. 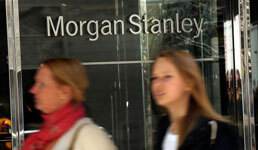 Morgan Stanley did not reply to requests for comment. Requiring ETF firms to pay for distribution could lead to far fewer choices for the client, he writes, as smaller players can’t afford the fees while those that don’t need Morgan Stanley’s distribution opt to be off its platform. It also clearly hurts the advisors, Strauss writes, as they’re often not even aware that the choices they’re offering their clients are limited. While wirehouses may be in the clear legally, they are adept at burying disclosures about such arrangements, which suggests they’re not at all interested in reducing conflicts of interest, Straus insists. For Morgan Stanley’s mutual fund pay-to-play schemes, for instance, the wirehouse discloses such access fees as expenses for research, sales data analytics and training and sales, he writes. Merrill Lynch, according to Straus, buries mutual fund manager compensation as well, although the company at least admits that fund firms who don’t agree to revenue-sharing typically aren’t offered to clients. Merrill Lynch declined comment on Straus's assertions. 20,000 Doesn't Matter. This Does. How Did Last Week's Energy Stock Performance Compare to the Super Bowl?